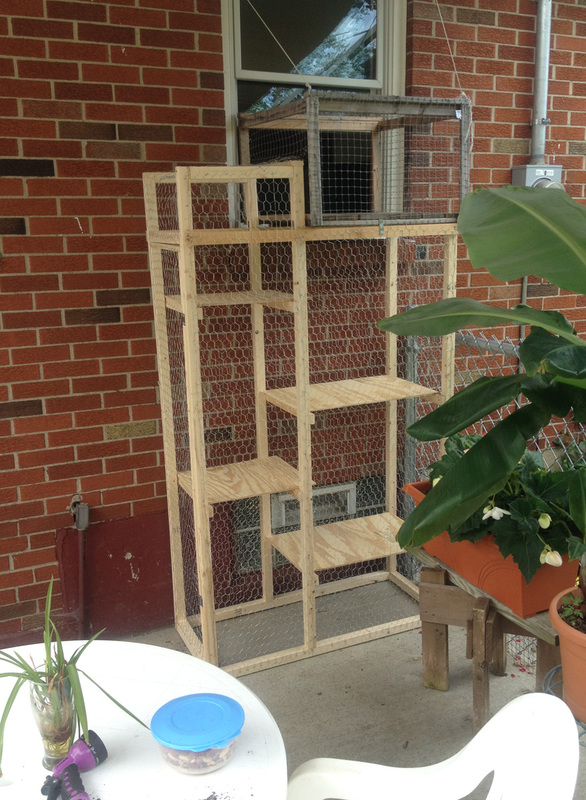 Jim R. in West Seneca NY created a catio for his indoor cats: "The grey box was built first a few years ago and then last year I got the idea that my cats could use more space. They come in through the kitchen window and then go to any level. There is a door on the outside in case I needed to get to them for any reason. If you would like more information, please feel free to contact me. 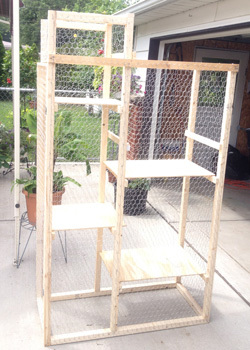 I certainly hope my handy work may save some of our beautiful birds." 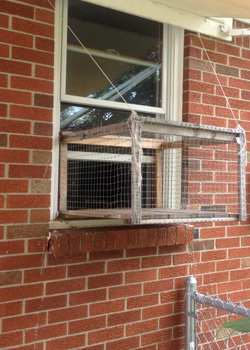 Listen to BirdNote shows about keeping cats indoors. Southern Cassowary - Close Up!